The first ever 'Surrey Day' takes place this year on 4th May. 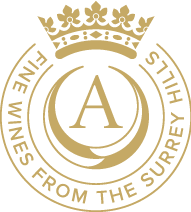 Organised by Visit Surrey, it will celebrate the best that Surrey has to offer. Celebrate #SurreyDay at the Silent Pool (10am - 6pm) where our cluster of artisan food and drink producers will come together to bring you some of Surrey's best local food and drink! Mandira’s Kitchen (previously Surrey Spice) will be offering their award-winning street food to sample on the day - tour their newly opened kitchen and cookery school and also buy their delicious freezer meals to take home. Sample world-famous gin and cocktails from Silent Pool Gin, award-winning English Wine from Albury Vineyard and delicious cheese from Norbury Blue. Plus locally brewed beer from our friends at Tillingbourne Brewery, and ice cream courtesy of Moooh. The Surrey Day Street Party at the Silent Pool takes place on 4th May, 10am - 6pm, no booking necessary, save the date and follow us on Facebook for more updates.